I was born on 13th August 1918 in the village of Rendcombe in Gloucestershire, where my father, also Frederick Sanger, was a medical practitioner. Influenced by him, and probably even more so by my brother Theodore (a year older than me), I soon became interested in biology and developed a respect for the importance of science and the scientific method. At Bryanston School and St John’s College, Cambridge, I was probably above average but not an outstanding scholar. Initially I had intended to study medicine, but before going to University I had decided that I would be better suited to a career in which I could concentrate my activities and interests more on a single goal than appeared to be possible in my father’s profession. So I decided to study science and, on arrival at Cambridge, became extremely excited and interested in biochemistry when I first heard about it, principally through Ernest Baldwin and also other members of the relatively young and enthusiastic Biochemistry Department that had been founded by F.G. Hopkins. It seemed to me that here was a way to really understand living matter and to develop a more scientific basis to many medical problems. After taking my B.A. degree in 1939 I remained at the University for a further year to take an advanced course in Biochemistry, and surprised myself and my teachers by obtaining a first class examination result. I was a conscientious objector during the war and was allowed to study for a Ph.D. degree, which I did in the Biochemistry Department with A. Neuberger, on lysine metabolism and a more practical problem concerning the nitrogen of potatoes. It was Neuberger who first taught me how to do research, both technically and as a way of life, and I owe much to him. In 1943 A.C. Chibnall succeeded F.G. Hopkins as Professor of Biochemistry at Cambridge and I joined his research group working on proteins and, in particular, insulin. This was an especially exciting time in protein chemistry. New fractionation techniques had been developed, particularly by A.J.P. Martin and his colleagues, and there seemed to be a real possibility of determining the exact chemical structure of these fundamental components of living matter. I succeeded in developing new methods for amino acid sequencing and used them to deduce the complete sequence of insulin, for which I was awarded the Nobel Prize for Chemistry in 1958. This award had an important and stimulating effect on my subsequent career. I had remained in Cambridge concentrating only on basic research and avoiding as far as possible teaching or administrative responsibilities. This recognition of my work gave me renewed confidence and enthusiasm to continue in this way of life, which I enjoyed. It also enabled me to obtain better research facilities and, even more important, to attract excellent colleagues. Until 1943 I received no stipend. I was able to support myself as my mother was the daughter of a relatively wealthy cotton manufacturer. From 1944 to 1951 I held a Beit Memorial Fellowship for Medical Research, and since 1951 I have been on the staff of the Medical Research Council. In 1962 I moved to their newly built Laboratory of Molecular Biology in Cambridge, together with M.F. Perutz‘s unit from the Cavendish Laboratory which included F.H.C. Crick, J.C. Kendrew, H.E. Huxley and A. Klug. In this atmosphere I soon became interested in nucleic acids. Although at the time it seemed to be a major change from proteins to nucleic acids, the concern with the basic problem of “sequencing” remained the same. And indeed this theme has been at the centre of all my research since 1943, both because of its intrinsic fascination and my conviction that a knowledge of sequences could contribute much to our understanding of living matter. 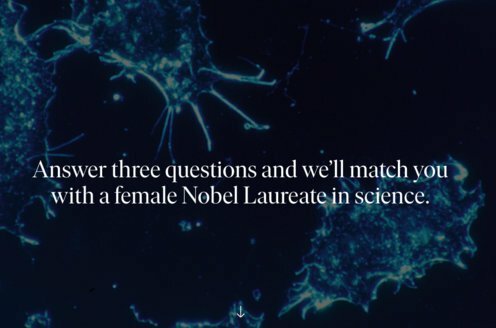 My work on nucleic acids is summarised in my Nobel lecture. This work has not been done single-handed and it owes much to the excellent collaborators I have had. Most of these have been students and postdoctoral fellows spending a few years in the laboratory and bringing their experience and ideas with them, but I feel particularly indebted to my more permanent colleagues, B.G. Barrell, A.R. Coulson and G.G. Brownlee, who have contributed so much to the methods we have developed. I was married to Margaret Joan Howe in 1940. Although not a scientist herself she has contributed more to my work than anyone else by providing a peaceful and happy home. We have two sons, Robin and Peter, born in 1943 and 1946, and a daughter, Sally Joan, born in 1960. Apart from my work my main interests are gardening and what can best be described as “messing about in boats”. Following the work on insulin I developed further methods for studying proteins and particularly the active centres of some enzymes. Around 1960 I turned my attention to the nucleic acids, RNA and DNA. I developed methods for determining small sequences in RNA. The work culminated in the development of the “dideoxy” technique for DNA sequencing around 1975. This was a relatively rapid method and was used to determine the DNA sequence of the bacteriophage fx 174 of 5375 nucleotides in 1977, of human mitochrondrial DNA (16,338 nucleotides) and of bacteriophage l (48,500 nucleotides). The method has been improved and automated in other human genome (3 billion nucleotides). 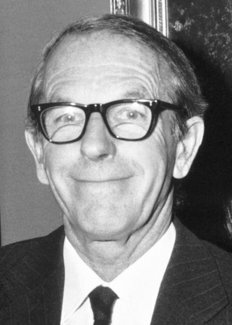 Frederick Sanger received his first Nobel Prize in Chemistry in 1958. Frederick Sanger died on 19 November 2013.